Efcharisto (Thank You) Greece! Buongiorno, Italia! We had our last night in Greece in the small harbour Ormous Ammou on the Nisos Othoni. 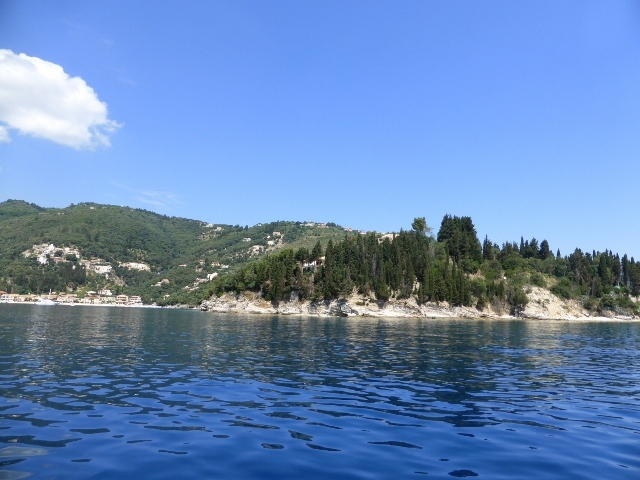 There on this small outer island, north of Corfu, one would have found a Venetian lighthouse and medieval fortress, with views over to Albania. We had two days on Corfu with Ric and Sandy, what was one highlight you ask? 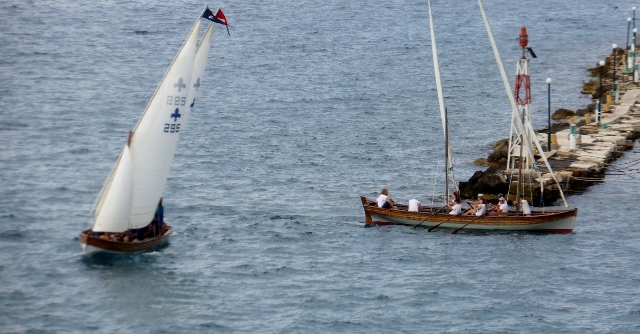 The boys might say it was watching Lateen rigged boats sail on Corfu harbour. Once the sail was in they rowed. How would Davo go with all that weight? 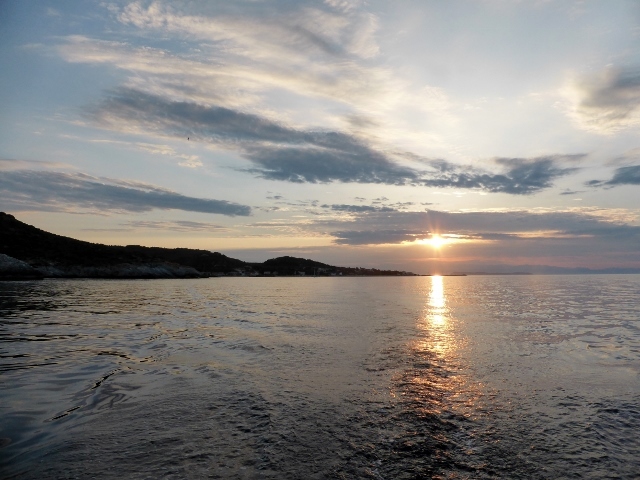 We had time to sit on board and think about how much we enjoyed Greece, how hospitable the people were, how beautiful the harbors and bays are. Its history is the history of Western democracies. I feel the connection all the way back to Athena and Aphrodite and the Virgin Mary. The food is superb and fresh fruits and veggies are so ripe and wonderful. All through this trip, we have wondered if there would be trouble travelling in Greece, with the IMF and Angela breathing down Greek’s neck. We haven’t had one difficulty, not with diesel or ATM’s or any of the myriad problems that travel agents in Europe had been forecasting like ancient Jocastas. So my take is: visit Greece, it is inexpensive compared to the rest of Europe, it has something for everyone and it is beautiful. The food is wonderful and so are the people. Today we have sailed across to Santa Maria di Leuca, Italia. Usually we are on the lookout for ships, lobster pots and dolphins, but today we narrowly missed hitting a tree. Ok, afterwards we reassessed “tree” and think maybe it was a big shrub, but it seemed to pop up as we glided right by it. It was quite strange but we think a storm might have taken it off a cliff and it was floating just below the surface until we went by. Soon after, beautiful dolphins did come and play with us jumping up two by two for several minutes. We think they were saying “Buongiorno”.